When I first found out I was pregnant, I solicited a lot of advice. I read a lot of guides about exactly what to expect during pregnancy and how to prepare for when the baby actually arrived. Everyone had opinions on everything: the best stroller, bassinet, whether you should co-sleep, breastfeed, or get your baby on a schedule from day 1. It’s not that I was trying to be a killjoy by focusing too much on the money. I was honestly trying to get a good estimate of how much money Jordan and I were about to spend. Of course, those comments naturally made me want to know more. So I turned to the internet for answers. The USDA estimates the cost to be anywhere from $9,690 to $19,770, depending on your income. They include increased housing and transportation costs in this figure. Reddit also turned up ranges that broad. I couldn’t get a good answer. To prep for this unknown and potentially massive expense, we opened a savings account. The goal was to take on extra work, cut back on costs, and stash enough extra cash in there to last the first 12 months of our baby’s life. The idea was born part out of practical need and part out of nerdy curiosity. I’m self-employed and I wasn’t sure how long I’d go without income. This savings account would cushion that blow. And, because I’ve heard that spending on a baby can spiral out of control, I wanted an easy way to look back and see where all of our money went. Having a separate account helped me do just that. Now that we’re working on our life plan and the big changes that are coming with it — a move to Hawaii and working full-time in our business — I’m so glad that we took the time to track our spending. Not only does this give us an accurate estimate for what we’ll need going forward, but it also helped us make sure that we didn’t spend on things that didn’t matter to us. That savings account got us through the first 11 months of Henry’s life. While it didn’t last the full 12 months I was hoping, I’d say we did pretty well with our estimates. 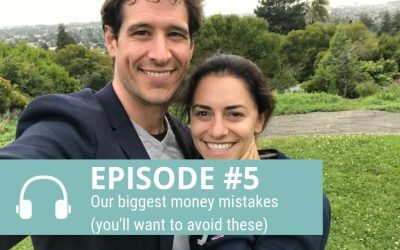 Before I get into how much we spent, I want to give this caveat: how we spent our money is completely different than how you’ll spend your money. We prioritized different things than you will. There’s no right and no wrong. But I wanted to share numbers because I couldn’t find them when I was looking for them. The title gives this away, but we spent $24,032 on Henry. And guys, those are after-tax dollars. So we had to earn a lot more to be able to afford to spend that much on our little bundle of sunshine. For context, NerdWallet estimates that new parents may spend $51k the first year of their baby’s life. And that doesn’t include the extra expenses people incur when moving to a bigger home or buying a bigger car. This spending isn’t right or wrong. It’s just our experience. If you remove childcare, college savings, life insurance, and trust creation the total goes down to $2,693. In other words, we spent $2,693 on physical things like strollers, car seats, a crib, a bassinet, diapers, clothes, and toys. That may sound like a lot, but The Bump estimates that you’ll spend $2,000 just on nursery furniture alone. We actually bought very few physical things, opted for second hand wherever possible, and adopted the idea that less is more. For example, our stroller — which I love — is $700 new. I picked up a barely used version for $200. I should note that while we didn’t have a baby shower, we did have very generous family and friends who sent books, clothes, toys, and their favorite baby items. We purchased very few clothes for the first six months of his life. When I looked for budget breakdowns online, everything focused on diapers and formula. When I would ask friends, the conversation would always circle back to diapers and formula. Sure, they’re not cheap. And if you’re really struggling to make ends meet, diapers and formula can add a significant burden to a cash strapped budget. But having been to enough homes with babies and seeing all the things, I doubt that it’s a majority of what most people spend money on. When you’re sitting in a room full of new furniture, every baby seat imaginable, and cabinets overflowing with toys, it’s hard to imagine that diapers are the detriment to a baby budget. But conversations come back to diapers. And often you’ll hear tips about where to save $0.70 to buy said diapers and save your newborn budget. Spoiler: it’s not going to save your budget. If you want to save, your time is better spent looking at some of the bigger ticket categories. Whether it’s marketers who tell you that it’s time to upgrade to a family car, buy the best cognitive development toys for your two month old, or paint a picture that the perfect nursery is going to create the perfect baby, everywhere you look someone wants to spend your money. There’s a reason the cost of raising a child increased by 40% between 2000 and 2010. Or that there are over 6,000 companies selling baby goods online. We, as new parents, are an easy audience. 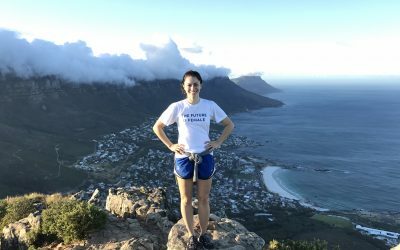 Now that I’m on the other side of this (with, you know, all of 365 days of parenting under my belt), I find myself dishing out ideas for how other expectant parents should spend their money. I try to bite my tongue but usually not before I swoon about the bassinet or the stroller I love. Or that spending money on childcare saved my sanity. Here I am. Doing it again. Everyone has an idea of how you need to spend your money. Don’t listen to them (or to me). There’s this new little creature that has entered your life. And for the first three months, also called the fourth trimester, they are basically blobs. There’s not a whole lot going on that we can see (though they are developing rapidly) and as they get used to life on the outside, we’re getting used to a life that feels totally out of control. I’d estimate that 90% of our purchases were completely rational and thought out. We waited until Henry was here and bought the things he needed, as he needed them. It was the perfect plan. That is until 1 am hit and I’d be up with my tiny little two-week-old baby, my hand glued to the phone ordering yet another blanket on Amazon prime. “What if they’re all dirty?” I’d hiss as Jordan tried to gently remind me that Henry already had plenty of blankets. Put down your phone during those 1 am feedings. Nothing good ever comes out of those late night orders. As you can see on the budget breakdown, our two biggest spending categories were childcare and college savings. Defining that these were our priorities helped us spend less on a top of the line glider and more on what was important to us. We live in London, away from our family and friends back in the U.S. and this really shaped our spending choices. 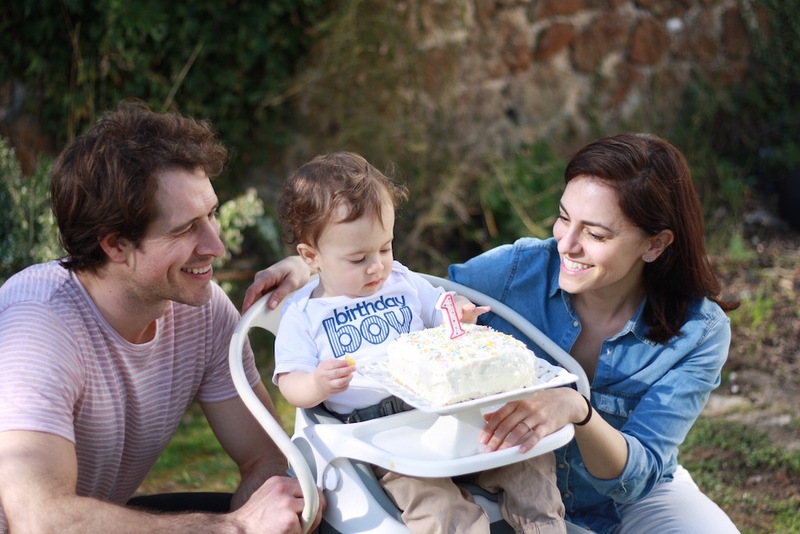 For us, we knew support would be our biggest need, so we saved up for our childcare. I took on an extra project that ended two days before my due date and that extra money went straight to paying for this childcare. Not everyone understands or agrees with our priorities. I get a lot of side eye when I mention having a night nanny come in and help or having a post-natal doula come over 12 hours a week so I didn’t lose my sanity and could enjoy a healthy meal. But here’s what they don’t see. We traded spending money on a lot of other things to be able to pay for this. The only pieces of new furniture we bought for Henry’s nursery were a crib and a bassinet. We didn’t get him a lot of things. We spent a lot of money on the things that we truly value and didn’t spend on the things we didn’t care much about. I’m so thankful we were able to do it this way. Side eye or not. We had our doula come over before Henry was born to help us figure out what we needed to buy. She gave us a list of 10 items to buy (yes only, 10) and told us to hold off on everything else. Her reasoning? All babies are different and all parents are different. Wait until your baby shows up and then get what they need. I was skeptical at first but I heeded her advice (ok, maybe I bought a few extra items) and I’m so glad that I did. Just like every baby, Henry has his own unique personality and likes, or dislikes certain things. I added an extra 12 things to her initial list and about half of those items were never used and were donated or tossed pretty quickly. Looking ahead, I don’t see our costs changing much over the next year. We’ll need to buy fewer things (I hope), but costs for food and childcare will certainly be on the rise. While how much we spend does matter, what matters most to us is that we continue to spend on what we truly believe will be best for Henry and make our family life better, while blocking out all of the other noise (and ignoring the side eye). 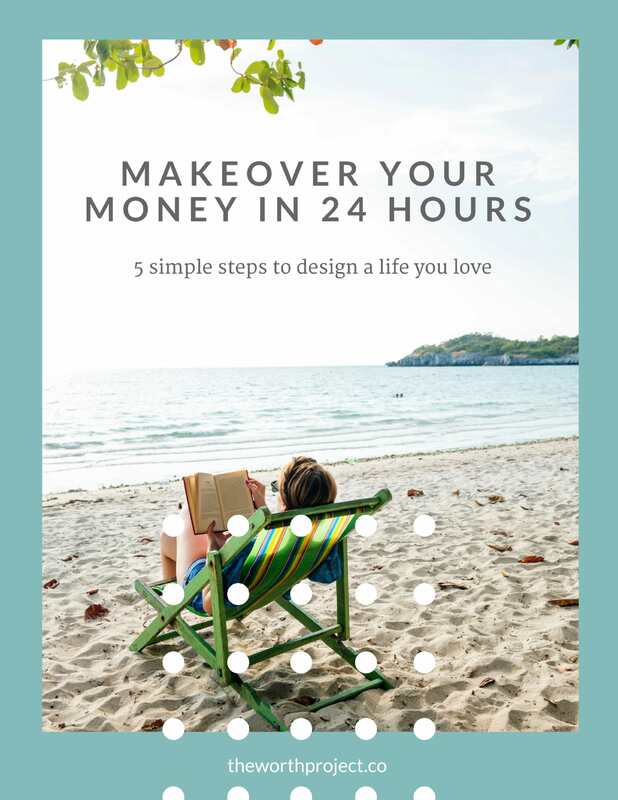 As our life plan starts to become more real, we make our move to Hawaii, go full-on in our business, and live a life we love, this intentional money habit will serve us well. As long as I stay away from those 1 am orders. It’s time to live a life that’s better than fine. Follow our journey and get the money tools and resources to start your own. Hi! I love this article. Could you share what the 10 items from the doula and the 12 that you added were? Thank you! Hi Katie! I’ve had a number of people ask, so that’s actually coming in a full post tomorrow. Keep a look out for that! I’m glad that you liked this article! Hi Erica, Did you do the calculations on disposable vs cloth diapers? (cost & environmental impact). Any advice? Hi! I actually just ordered some cloth diapers to test them out. Because I opted for the all-in-one option (most expensive) and because we’re starting late, I don’t think it’ll save that much money. But using them from the beginning and for more than one child could really save money. 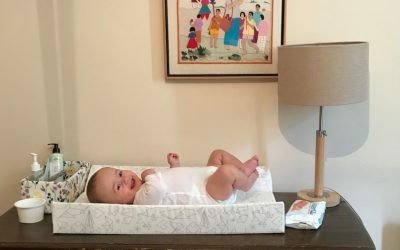 From the limited research I’ve done, it sounds like going with cotton diapers could potentially have a worse environmental impact than disposable diapers, so we stayed away from that. Good luck with your choice!